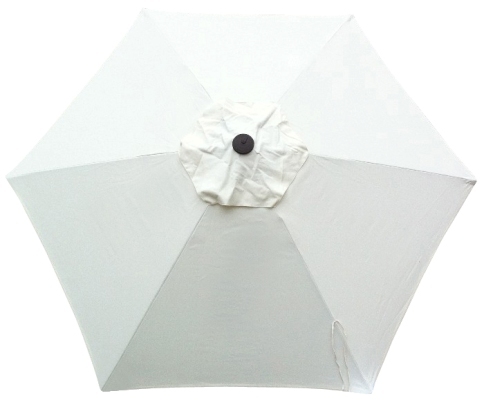 Click here for a more detailed description of our frame finishes and fabrics. 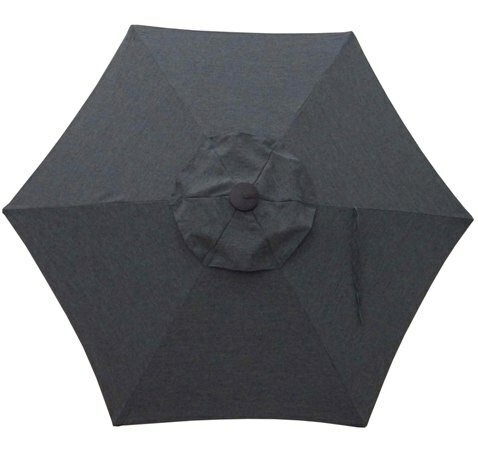 Rugged 300 gram commercial grade poly canvas shade canopy. 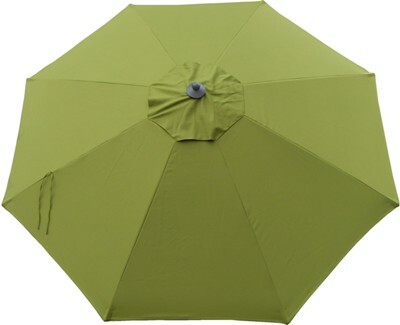 (some colors also available in upgrade Protexture fabric. 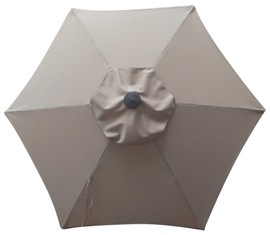 Protexture is a canvas material that carries a 4-year minimum warranty against fade. 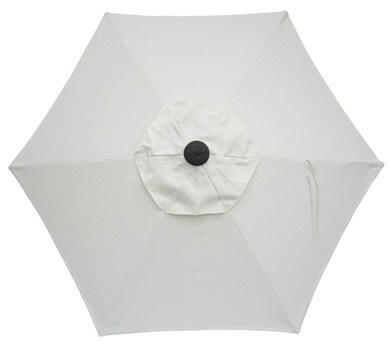 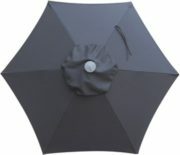 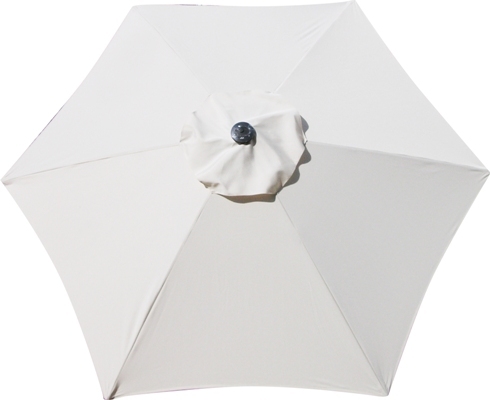 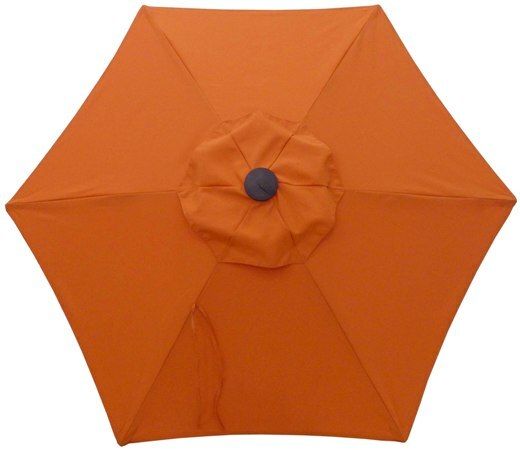 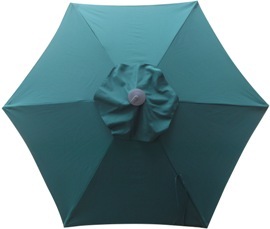 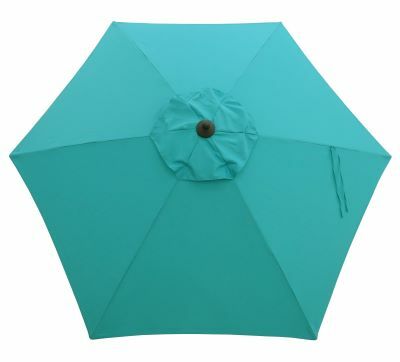 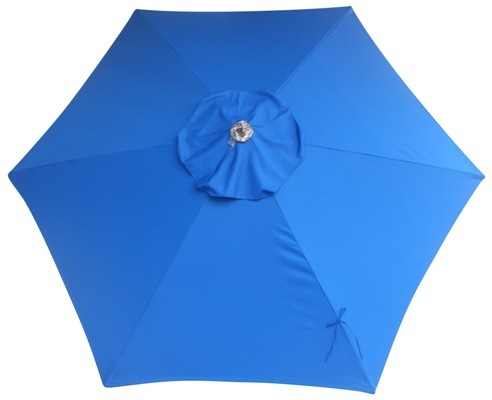 This is a good option for darker colors and/or umbrellas that are exposed to the sun continually). 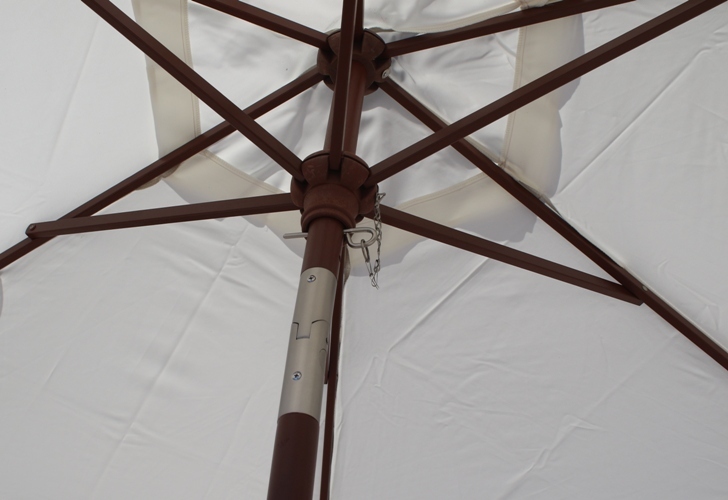 UV resin connecting hubs won’t crack or split and will outlast wooden hubs 10:1. Features UV resin decorative finial cap and reinforced connecting hardware (pewter finish, video shows brass and is incorrect). Carry bag/slip cover depicted in the video is available by request only. 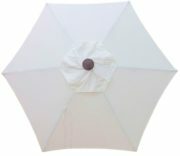 SKU: 332. 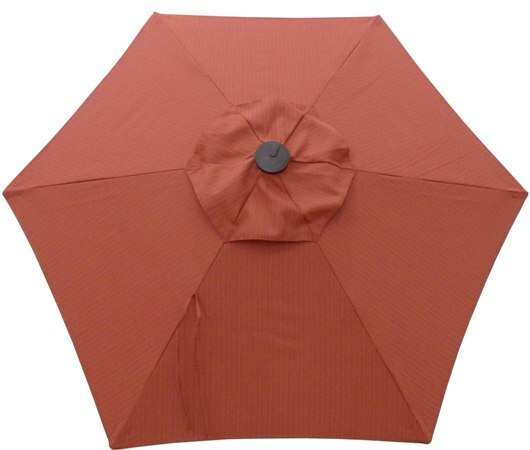 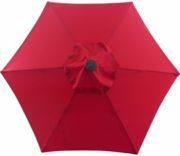 Categories: 6-7', 6-8' Patio Umbrellas, Fade Resistant, Patio/Market Umbrellas, Tilt (all), Wooden Patio Umbrellas. A portable market umbrella. 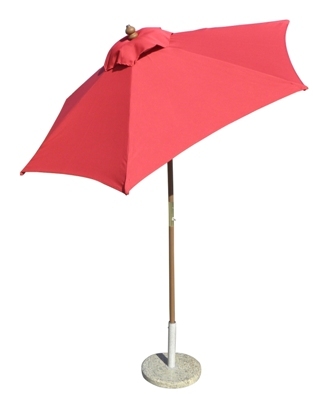 Use on the patio during the week then bag it up at take it to the beach, park , playing fields, anywhere. 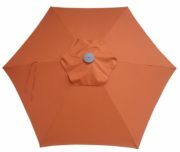 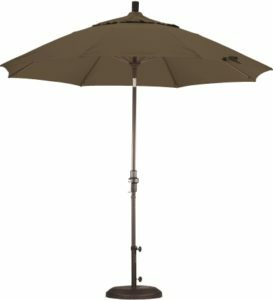 For the 6.5′ Wooden Market Umbrellas, we recommend a 40-pound umbrella stand if you are using it with a table and a 75-pound stand if it will be freestanding or used in a windy area. You can find a wide selection of umbrella bases by visiting our “Market Umbrella Base” section.